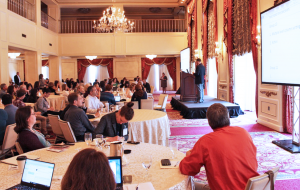 Register for our 17th Annual User Group Meeting (EMUG) held on June 20-21 in Boston, MA to participate. Book your spot now to qualify for the early bird discount (ends May 20th). Your feedback is important to us! 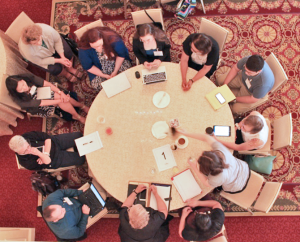 Traditionally, on the first day of EMUG we host a session called the ‘Feature Workshop’. The workshop provides attendees with an open forum to present feature suggestions for product improvement and innovation. As the first major session, the workshop kicks off EMUG by diving into an engaging, collaborative brainstorming session. During the workshop, attendees break into smaller groups to exchange their personal workflows, challenges, feature preferences and more. The most popular recommendations from each group are then presented by Aries staff to the rest of the assembly for discussion. We encourage attendees to consider their feature “wish list” and ideas before EMUG, and bring a list of suggestions with them to contribute to the session. Often considered the most beneficial session for EMUG attendees, the feature workshop is instrumental in product development. If you’re interested in putting your stamp on the future of Aries products, register for EMUG today!